YULEE, Fla. - After spending a few months in the Nassau County jail, the woman dubbed the "serial stowaway" is now in a homeless shelter. 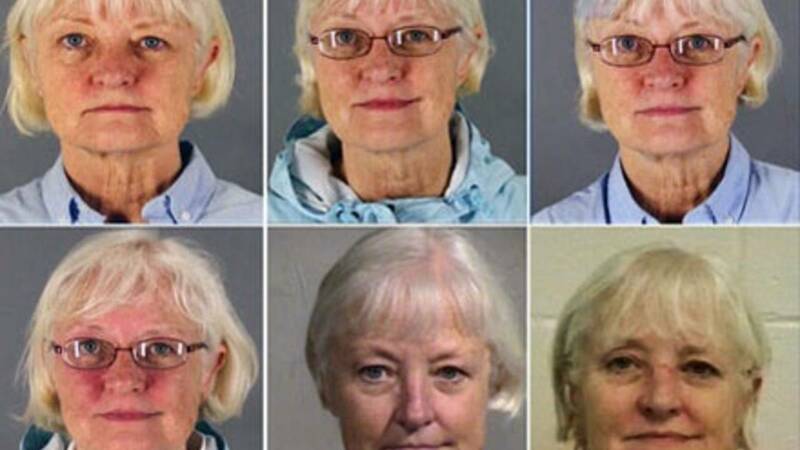 Marilyn Jean Hartman has been arrested numerous times across the U.S. because, officals said, she has a habit of sneaking onto planes without boarding passes or tickets and staying at locations without authorization. Hartman was charged on Feb. 9 with defrauding an innkeeper and trespassing, but the case was put on hold when her attorney filed a motion for a mental competency evaluation. A Nassau County judge ruled Monday that she was not competent and dismissed the charges. The dismissal was done "without prejudice," meaning that prosecutors can refile the charges if she is later found competent. One of the big questions on a lot of minds is how does this even happen? Or, could Hartman just be faking again? After all, she has done this before which is well documented. In theory, it's always a risk to release someone that is found incompetent to stand trial but unfortunately our system does not always support those people and provide them with the necessary means of getting better because it's not against the law to have a psychological problem," clinical and forensic psychologist Dr. Justin D'Arienzo said. Hartman's mental history has not been made public. But according to D'Arienzo, the mental health evaluation was very thorough. Even though she has a history of fooling other people, chances are, she's not lying about her mental state. "She could be lying, but these psychologists and psychiatrists that are working for the legal system are usually highly trained and it is very difficult to get past one of them," D'Arienzo said. Deputies said they found found her staying at the Omni Resort Amelia Island Plantation without authorization. "She was very pleasant, very cooperative," Deputy Mark Murphy said after making the arrest. "Once I explained to her that she was being charged with defrauding the innkeeper and the fraudulent use of personal information and trespassing, she, quite frankly, just said, 'Yes, I understand.'" The TSA was investigating how Hartman, who has a history of boarding airplanes without tickets, appears to have boarded a flight from Minneapolis-St. Paul to Jacksonville International Airport in February despite not having a ticket. "My feeling about this person is that she must be very convincing because I know it can be quite difficult to get past TSA agents," D'Arienzo said. Nassau County deputies said that once Hartman was in Jacksonville, she accepted a ride from a shuttle driver who though she was an Omni guest and checked into a villa under that guest's name. Nassau County deputies said when the real guest arrived at the Omni and tried to check later Sunday, Hartman was contacted and asked to come back to the front desk because of an error in booking, but she disappeared. Hartman was found by Omni security Feb. 9 staying in a room that was under renovation. She was arrested and booked into the Nassau County Jail. Hartman has been arrested numerous times across the U.S. for trying to sneak onto airplanes and staying at locations without authorization. News4Jax tracked down booking photos of Hartman from jails from all over the country. Six of them were taken in the past year. "The only thing she wouldn't tell me is how she actually gets by security and gets on these planes," said Murphy. February 2014 -- Hartman was sentenced to 18 months of probation after trying to board three separate flights from San Francisco to Hawaii. March 2014 -- Hartman was arrested twice for hanging out in the San Francisco airport after she was banned from the premises. August 2014 -- Hartman was arrested for getting through security and board if a flight from Mineta San Jose International Airport to Los Angeles International Aiport. She was ordered to spend 117 days in jail for violating probation by returning to LAX, but she was released Aug. 16 because of overcrowding at the detention facility. Later in August 2014, Hartman was arrested near baggage claim at Phoenix Sky Harbor International Airport on suspicion of criminal trespassing. Police say she was loitering around a checkpoint and did not have an airline ticket. February 2015, Hartman was arrested in Nassau County after police said she boarded a flight without a ticket from Minnesota to Jacksonville before checking into the Omni under another woman's name. In an interview in August with KCBS in Los Angeles, Hartman promised never to do it again. "It was stupid and it's something I do not want to repeat. It was clearly wrong on my part and I certainly do not want to do it again because I certainly don't want to do any jail time," Hartman said. KCBS said Hartman is a retired secretary who is now homeless. Last year she told NBC News that she suffers from "whistleblower trauma syndrome" and was forced from her home by the FBI, which left her homeless. "Obviously they'll be on watch for me so I wouldn't dare attempt this again. I don't want to be that position. I want to go with a paid ticket," said Hartman. News4Jax crime and safety analyst Gil Smith said it's highly improbable that she got on a flight to Jacksonville under a false identity because of intense TSA security screenings since Sept. 11, but at a hotel, Smith said she must have found a weakness in security. "As far as checking into a hotel, she did that somehow. She got into (their) system, found out who was staying (there) and was able to say she was this woman. Most hotels, you need to show ID, credit card, (to) show that you are that person with the reservation. For hotel stays, somehow she was able to breach that security again," he said. In another incident, she told investigators she had cancer and was trying to live out the remainder of her days in a warm place like Hawaii. There is no information on what brought Hartman to the area.